The choice is yours when you select the type of control for your boiler. 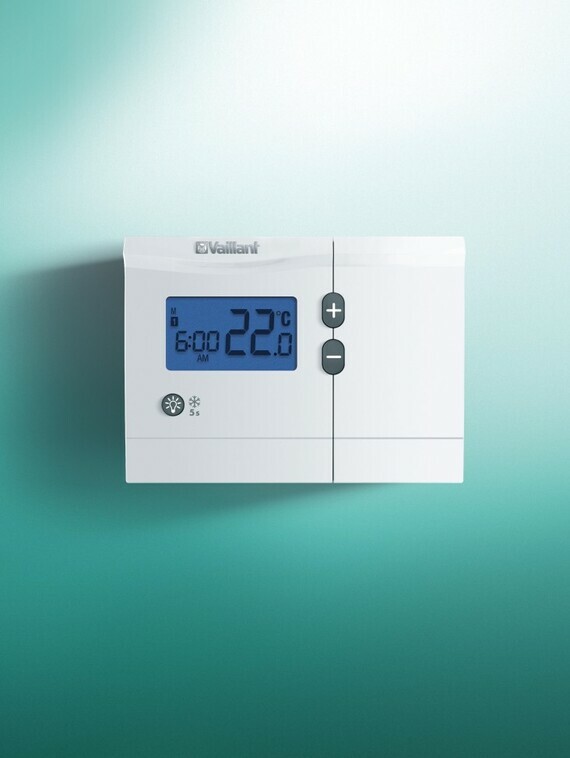 The VRT 250 is a thermostat with weekly programming that can be combined with any Vaillant boiler. The equipment allows turning on or off the connected boiler by sending an ON-OFF signal to the boiler control board. Furthermore, it allows setting two combined temperature levels. In addition to its most regularly used features, the calorMATIC 250f also has two very useful additional functions, the "Holiday" and the "day-off" function. 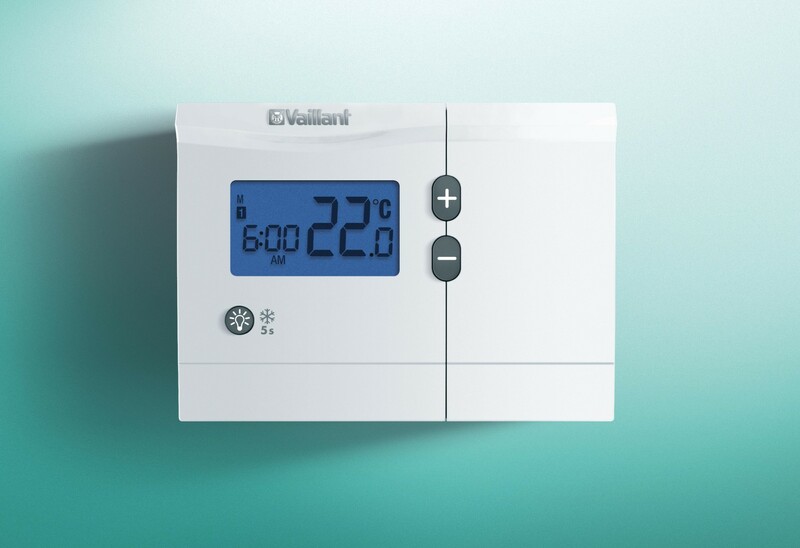 The "Holiday" function reduces the set temperature to a defined minimum and returns to the previously set temperature after the programmed days off when you return from holidays. On the other hand, the "day-off" function activates the "comfort" temperature, returning to the original programming as soon as the next "reduction" temperature cycle starts. The VRT 250 range consists of two different models, the wired connection model (VRT 250) and the wireless model (VRT 250f), which incorporates a signal receiver.